This chapter provides an overview of global data and trends on international migrants and international migration. It also provides a discussion of particular migrant groups – namely, migrant workers, refugees, asylum seekers and IDPs – as well as of remittances. In addition, the chapter highlights the growing body of IOM programmatic and other data, particularly on missing migrants, assisted voluntary returns and reintegration, migrant health, resettlement, displacement-tracking, and human trafficking. Current estimates are that there are 244 million international migrants globally (or 3.3% of the world’s population). While the vast majority of people in the world continue to live in the country in which they were born, more people are migrating to other countries, especially those within their region. Many others are migrating to high-income countries that are further afield. 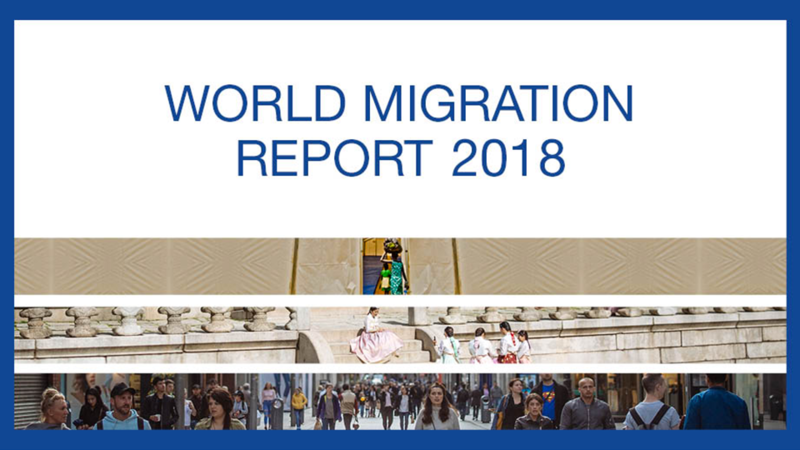 Work is the major reason that people migrate internationally, and migrant workers constitute a large majority of the world’s international migrants, with most living in high-income countries and many engaged in the service sector. Global displacement is at a record high, with the number of internally displaced at over 40 million and the number of refugees more than 22 million.